Welcome to the AAFPS news section. Check back here for information and news direct from the AAPFS and our member surgeons. Facial Plastic Surgeon, Dr. Neil A Gordon, will present a new technique combining his latest research into facial ageing and 21 years experience as a pioneer advancing the Deep Plane Facelift, for the first time internationally. The Vertical Platysma Advancement is currently being applied to celebrities and the well heeled throughout the world at Dr Gordon’s Retreat at Split Rock in Connecticut, USA. “The goal in facial rejuvenation is to reproduce our past appearance without any signs of a procedure. Elective facial procedures must be consistent, predictable and safe,” says Dr. Gordon. The Australasian Academy of Facial Plastic Surgery (AAFPS) is hosting a two-day Symposium and Dissection Workshop in Sydney, providing a rare opportunity for the fathers of the deep plane facelift technique to share updates, insights and compare notes on the world’s best practice. The deep plane facelift is an advanced technique performed by highly skilled facial plastic surgeons and plastic surgeons that more thoroughly addresses the effects of ageing on the face and neck. It lifts the whole face by repositioning the deeper tissue layers. The result accentuates the cheekbone, jawline and neck. 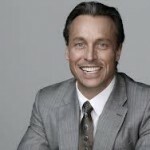 Dr. Neil A Gordon, (NYC/Conneticut, USA), was one of the early pioneers and consequently has become a leader in the use of the Deep Plane Facelift, a revolutionary technique with exceptional results. Dr. Mark Rubin, (Beverly Hills, USA), is a board certified dermatologist whose practice is focused purely on cosmetic dermatology. Dr. Rubin is actively involved in clinical research projects and has indepth knowledge in the fields of wound healing, skin care products, chemical peeling, lasers and injectable dermal fillers. Dr. Andrew Frankel, (Beverly Hills, USA), is a Facial Plastic Surgeon and an early innovator with facelift techniques who has been practicing at the renowned Lasky Clinic in Beverly Hills, California for over twenty years. He is also an Associate Clinical Professor at the University of Southern California and serves as a Fellowship Director for the American Academy of Facial Plastic and Reconstructive Surgery. Dr. Jonathan Sykes, (Sacramento, USA), is an internationally recognized facial plastic surgeon and educator who has performed more than 18,000 aesthetic, functional and reconstructive surgeries on patients ranging from infants to the elderly. He is a past president of the American Academy of Facial Plastic and Reconstructive Surgery and has published more than 150 professional articles and book chapters, and been editor of 7 textbooks. “The worldwide trend in turning back the clock on facial ageing appearance is towards minimally invasive procedures, such as cosmetic injections and energy-based machines”, says Dr. Gordon. Dr. Marcells stressed that while the Symposium is highly pitched, it is inclusive of a range of practitioners who work with the face. A facial plastic surgeon specialises in cosmetic and/or reconstructive surgery of the head and neck only. They commonly perform procedures relating to the eyes, ears, nose, neck, face, chin and skin. Just like a plastic surgeon, a facial plastic surgeon in Australia is a fully qualified Fellow of the Royal Australasian College of Surgeons (FRACS). They will have completed formal training in plastics, ENT or even general surgery, before going on to do further training allowing them to specialise in surgery of the face. The Australian Academy of Facial Plastic Surgery was formed in 1990 and brought together a group of fully registered specialists who perform aesthetic and reconstructive procedures of the face, head and neck. The Academy is the only specialist group in Australasia focusing solely on facial plastic surgery and is a founding member of the International Federation of Facial Plastic Surgery Societies (IFFPSS). As a group, the AAFPS is committed to continual education, research and leadership for doctors and clients with an interest in the field of facial plastic surgery. Membership of the academy is open to specialists including, otolaryngologists, head and neck surgeons, ophthalmologists, dermatologists, general plastic surgeons, oral and faciomaxillary surgeons. Dr Choroomi is an Australian trained ENT surgeon and USA trained Facial Plastic Surgeon. Dual qualified and FRACS certif..
Dr William Mooney is a premier rhinoplasty surgeon in Sydney with extensive experience in nose job surgery. 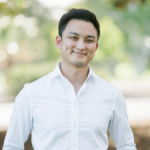 He is a ful..
Dr Kien Ha is an Australian trained, fully accredited and Adelaide based Ear, Nose and Throat (ENT) surgeon, with a spec.. This surgeon is based in Singapore. We're the only group of qualified specialist in Australasia focusing solely on facial cosmetic and reconstructive procedures. We aim to deliver a comprehensive and professional service: to ensure our clients make informed decisions about surgical procedures and receive a first-class service, while providing a forum for our specialist members to share, promote and develop modern surgical techniques.